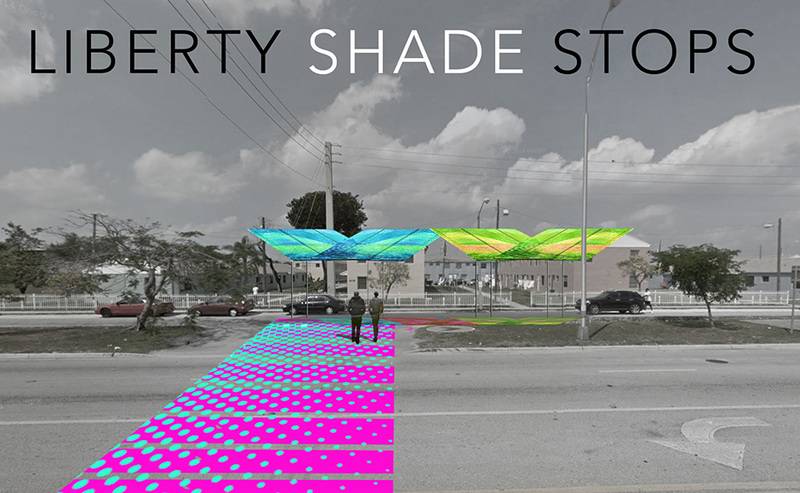 Studio Roberto Rovira’s proposal for Liberty City (“Liberty Shade Stops”) was selected as a finalist among 410 ideas submitted in the 2nd Annual Public Space Challenge by the Miami Foundation. The Miami Foundation created the Our Miami Public Space Challenge to discover the best ideas for improving, creating, and activating local public spaces. Community experts and professional place makers select the best ideas from the list of finalists and together with the Health Foundation of South Florida will invest $130,000 to make them a reality. 45 finalists were selected this year and 18 ideas were funded. Read more at the Miami Foundation site.